Goodwe Monitoring Leads the way! Unlike most inverters where monitoring is an external add on our Goodwe inverters ship standard with integrated wi-fi for online monitoring. After installing Goodwe inverters for the past few months we have been truly impressed by this feature. Not only for the ease of installation and configuration but for accessibility across all platforms. Whether you are connecting via your PC, iPhone, iPad or Android phone it’s seamless and always up to date. 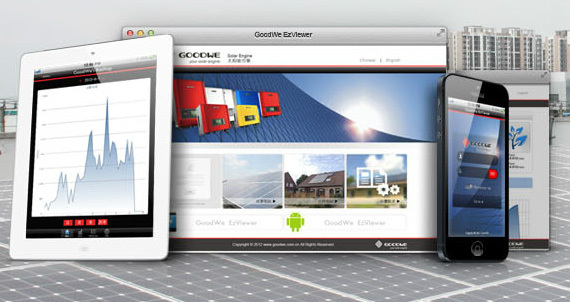 GoodWe has also recently been given a top three finish worldwide for the under 5KW size inverters by Germany’s Photon Magazine, which benchmarks the technology amongst peers. The manufacturer has many other attributes that we love and we’re pleased that we have partnered with Goodwe to provide customers with the very best products!